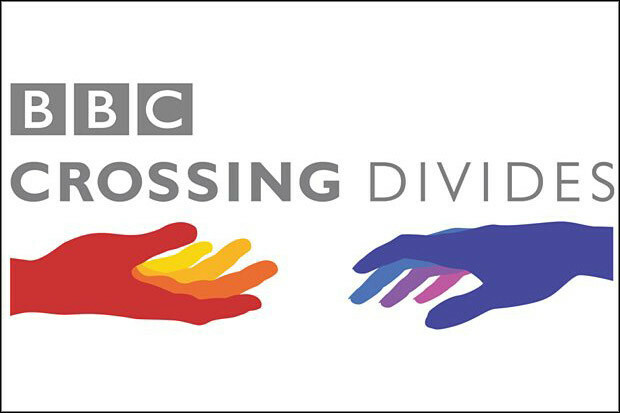 Teams at the BBC have been working in collaboration for their latest global series 'Crossing Divides', which uses solutions journalism to show how people across the world are tackling the divisions in society such as age, religion, race, politics and class. The project has been rolling out over the whole of this week, featuring a myriad of stories across BBC News outlets, on TV, radio, and digital, from why a Yorkshire Dales farmer is working with asylum seekers to how a Kenyan prison is using mindfulness to create a different relationship between prisoners and prison officers. "I was looking for a global subject that would be interesting to tackle, that had many different elements with many different types of solutions," said Emily Kasriel, head of editorial partnerships and special projects, BBC World Service. The topic of Crossing Divides seemed poignant, as the Ipsos MORI study, carried out in 27 countries, found three-quarters of respondents from around the world think their country’s society is divided – even more so than it was 10 years ago. Kasriel also noted that solutions journalism, an approach to reporting that highlights answers to problems as opposed to focusing on the issues themselves, was key in engaging audiences with this topic, as research is providing evidence that a surfeit of bad news is one of the most significant reasons why more of us are becoming news avoiders. "A season like this makes people feel confident that news can include stories of how people are solving problems, and of how divides are being crossed. People are also very interested in knowing how their problems are being tackled elsewhere." The broadcaster has been able to use this series to experiment with new formats. 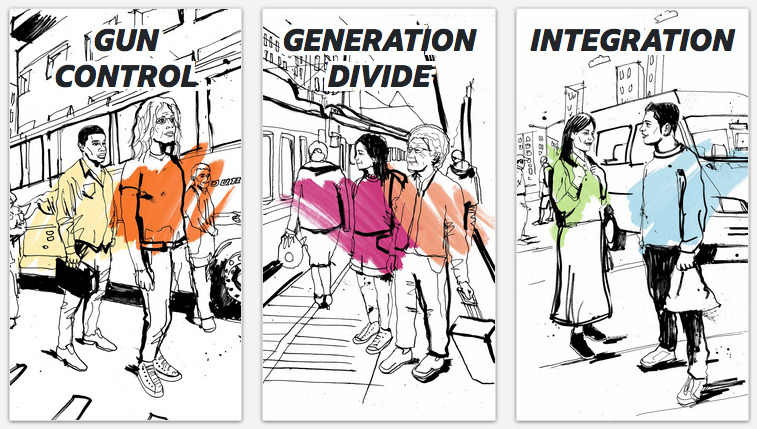 For example, BBC News Labs produced an interactive comic which simulates a conversation between two people who fall on opposite sides of an ideological, generational or ethnic divide. "It is all about learning to have better conversations with people you disagree with," said Kasriel, explaining that users choose a character in one of the three scenarios about gun control, the generation divide or integration, and then make dialogue choices to navigate the interactive conversation with the other character. "We've spent a lot of time with journalists across those individual stories, who have infused it with content, and at the same time we've got input from other specialists about how best to have those difficult conversations," she said. At the end of the experience, which has been translated into five languages, users receive feedback based on their choices, as well as suggestions for having more productive conversations in the future. The entire series aims to not only open people's eyes to the constructive stories around the world about this issue, but to also help them tackle their own problems while analysing the efficiency of solutions being implemented elsewhere. Kasriel explained that because BBC World Service has a global operation in 40 languages, they are able to source stories that haven't been reported on before, such as how former child soldiers who were on opposite sides of the conflict between Christians and Muslims on the Indonesian island of Ambon have now formed a friendship and are leading hip-hop collaboration classes as part of their quest to ensure peace there. "We would have never had it but for the fact that we have an Indonesian service who are able to source those kinds of stories – it's a lovely way of bringing together different parts of the BBC," she said. "With solutions journalism, you have to ensure you don't fall into the trap of producing NGO puff pieces, because our agenda is not to showcase various charities, but to find out what is working as well as what is not working, and to ask tough, rigorous questions and find out the limitations of these solutions. "It takes a lot of work and practice, and I think a series like this gives more BBC journalists the experience and opportunity to do these stories and the see how audiences are are responding – and I think our audiences are responding very positively."